Love cycling but can’t seem to find a good helmet that gives you the best fit and comfort? 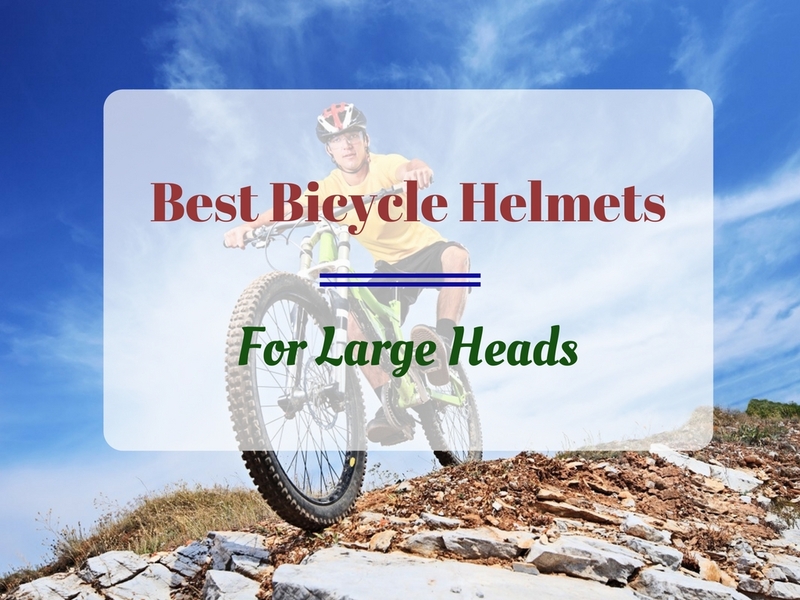 In no particular order, here is a list of some of the best bicycle helmets geared towards large heads. These are some of the best “Universal Fit” helmets that other bike riders swear by. The Bontrager quantum helmet without a doubt gives more value than the price. The helmet is great for outdoor riding, especially cross country and trails. The bright color is also great for commute riders, basically making the Bontrager helmet an all-rounder. The reason this helmet made itself onto this list is due to the fact that it sports micro-manager fit system that is 100% customizable, allowing to make itself fit comfortably into various head sizes. Due to the variation of vent sizes the helmet has, air ventilation is excellent. The pads that the helmet is lined with is soft and comfortable, not to mention easily washable. The helmet strap management system is something that Bontrager has done spectacularly well. The lockdown dividers allow for a cleaner aesthetic and make it a lot easier to adjust. In addition to all of that, the Bontrager Quantum features a snap-on visor with port plugs for more convenience. Specially sized to fit the bigger heads of the bunch, the Giro Atlas II is the most preferred one by all riders. Generally speaking, the Giro helmets are sturdy yet comfortable, while rocking a rugged and classic design, and the Atlas II does not disappoint at all. This helmet is perfect for everyday riding and comfortable enough for people with larger heads. As it is targeted for riders with larger heads, the Atlas II allows for a range of adjustments to be made. This way it is ensured that no matter what, the helmet has a stable and secure fit around your head, as it has Acu Dial suspension. Due to the in-mold technology that the helmet has, the helmet is relatively lightweight weighing at only 330g. (Or 11.5 oz.) The EPS foam lining helps make the helmet one that can resist shock upon impact and break. There are 18 vents throughout the whole helmet, making it cool and well ventilated. In addition to all of that, the helmet also has a detachable snap-in visor. It truly lives up to its name as a “Universal Fit” helmet. If you love the helmets by Bell but never found the right one for you, then you’re in luck. The XLV Bike Helmet by Bell is equally as stylish and packed full of features as any of their other products, only this time it comes to rectify the problem that all riders with large heads are facing. As if this doesn’t get any better, the price of this product is one that you cannot beat. As mentioned above, this helmet is packed full of the best features that Bell is so well-known for. The durability of this helmet is ensured by the fusion in-mold construction of it. This means that the EPS foam was bonded into the micro shell of the helmet while it was still in the mold. This results in a sturdier and does a better job protecting your head. To make adjustments easy, Bell has included the Ergo Dial Fit System which allows you to make adjustments one-handed and with only a press of a button and an easy to use dial. Not only will the helmet fit snugly around your head, it will be stable and comfortable to wear. The helmet gets even more enticing with Bell’s Cam-Lock Levers that make adjusting the straps around your ears and under your chin. The 23 large vents guarantee superior ventilation, as the carefully designed vents help for cooler air to enter through the front vents and exit through the rear regardless the speed you are cycling in. When riding in the rain or sun, simply snap in the detachable visor to shield your eyes. With a racer look, this helmet is exclusively designed to fit larger and wider heads. When comparing this against the Bell XLV helmet, we found that this was indeed bigger. Even at the highest adjustment setting, there was still some wiggle room that could be removed in the Arcterus. Unlike the Bell XLV, the Arcterus can fit wider heads (side to side) as it has the dial to adjust width front to back as well as side to side. Hence, you cannot go wrong with this particular helmet and you will not regret your purchase. Often times the helmet straps from other manufacturers get a lot of criticism and most riders aren’t big fans of it. The Louis Garneau’s helmet straps, on the other hand, gets all the praise. The straps are made of a nylon-like material with a high thread count and don’t scuff the skin. Other than that, the helmet is very solid and durable and has great ventilation. While it is listed to only fit up to the size of 24.8 inches, this helmet can give more of a customized fit than any other helmet. No matter the size or shape, the Arcterus by Louis Garneau can fit almost any and every head size. A notable alternative is the HG Olympus Helmet also by Louis Garneau. Head Size: up to 25.2 inches (64 cm) – Suits Asian head shapes well. A relatively new company, Kask has quickly made its name by designing and manufacturing its products in Italy. Their Mojito helmet delivers exceptionally well in both style and functionality. When it comes to style, it is no doubt that the Italian design is bound to turn heads left and right, and for good reason too. The helmet is very easy on the eyes, but it is way more than just its looks. The Mojito has a lot to boast about. The credit for its durability and safety goes not only to the in-mold construction of high-quality materials but also to the MIT safety technology that it sports. The helmet is completely protected as the cap, ring and rear are covered with polycarbonate – a feature of the MIT technology that Kask is very proud of. In addition to that, the in-mold technology results in bonding of the polystyrene cap inside to the polycarbonate on the outside, making it better in absorbing shock. Furthermore, the Mojito has the up and down adjustment system that enables the helmet to fit comfortably around your head. That coupled with the dial at the back of the helmet, which is adjustable so that the back of your head is also supported, you’re safety is guaranteed. The Raleigh Bicycle Company is an English manufacturer of bicycles with a long history. It was founded in 1888, making it the oldest in our list! This Raleigh Cycle Helmet has an attractive design intended for city commuting. It does a good job of providing protection for the head, using an in-mold EPS construction. It’s priced at an affordable point, considering it has adjustable straps for the side as well as back. Ventilation is good – though not the best, it has 15 holes that are well spaced out, providing more than sufficient cooling. Many users with larger heads have also reported positive experiences with this helmet. All the helmets mentioned above are great and have one significant feature that makes them stand out from the crowd. While each holds their own when it comes to comparing them, the one from Louis Garneau is something you should consider getting as it gives you the most freedom of adjustment and is very affordable. Other than that, if it fits your budget you can opt for the Mojito Helmet as it truly is one of a kind. Regardless, this list is very versatile and has something for everyone. So you cannot go wrong with any one of them!